These photos are quite old now so I've actually used a lot more than shown but I wanted to share with you some of the fragrances I've been loving over the summer. 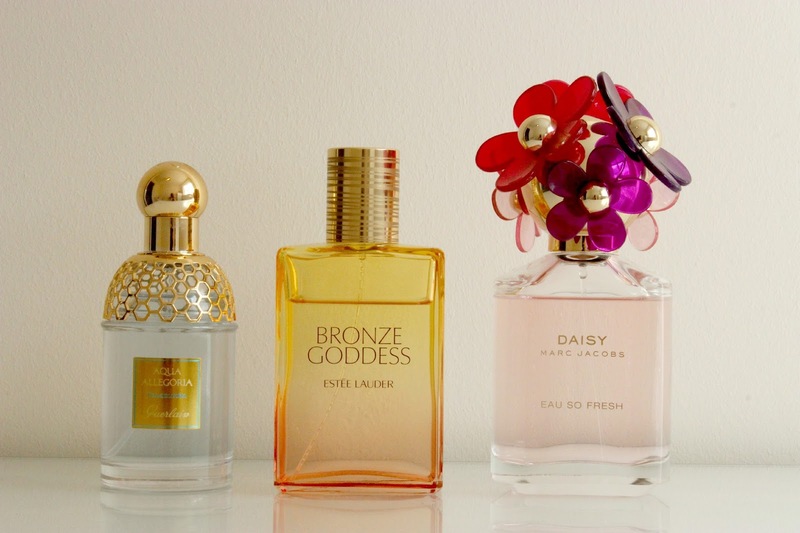 If you love quite sweet/floral scents, these might be some to check out. 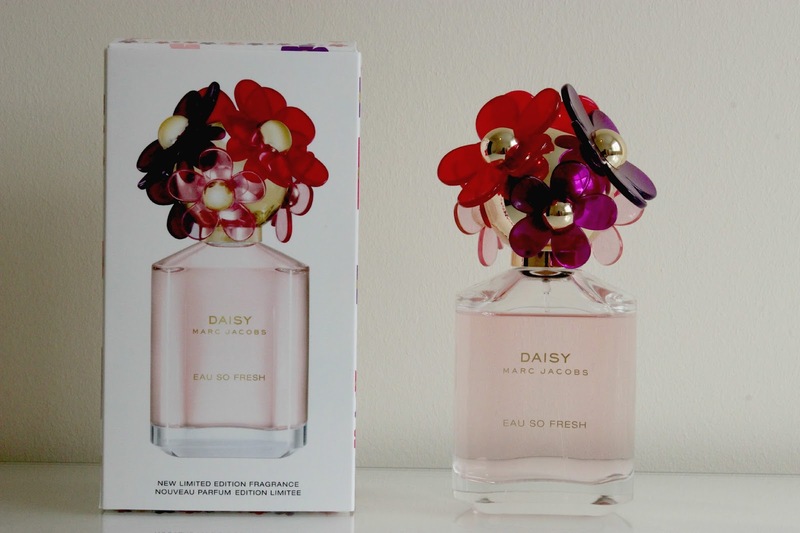 I received the Marc Jacobs Daily Eau So Fresh fragrance for my birthday back in July and it's a very me fragrance. I typically like sweet, floral scents and this ticks both boxes. I really like the Marc Jacobs bottles too, they are always really stylish and one to display in prime position on the dressing table. 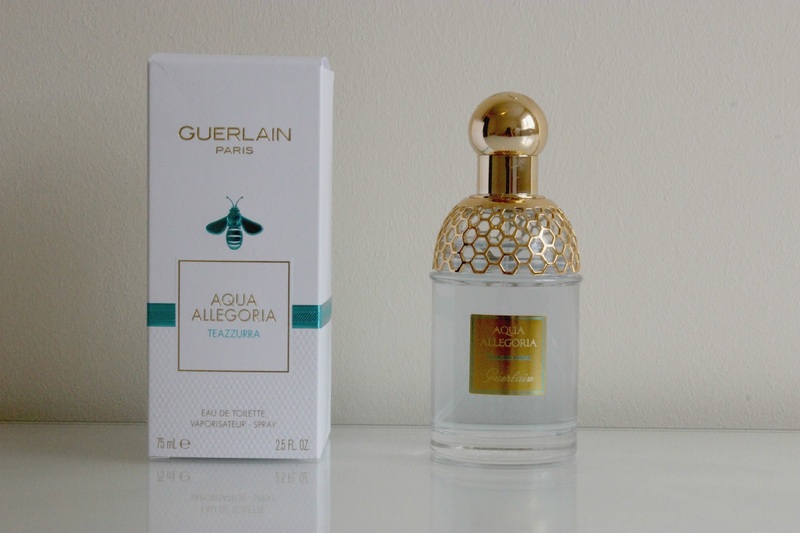 I bought the Guerlain Aqua Allegoria Teazzurra fragrance with my birthday money. I'm not gonna lie, I was totally drawn to the packaging with this one. It looks so luxurious! It's a good job this one smells good because I needed it! I find this fragrance to be quite unique. It's very fresh with a slight sweetness to it. It's definitely one to try if you see it in store as I don't know about you, but I wouldn't normally go to the Guerlain counter in search of a fragrance so I'm glad I spotted it randomly! The Estee Lauder Bronze Goddess fragrance is released every summer in varying formulas and packaging and every year I'm always tempted. It's the most gorgeous coconutty, holiday in a bottle fragrance. This year I finally indulged and bought the 2015 Eau Fraiche version. I love this year's ombre and gold packaging. Which fragrances have you been loving over the last few months?